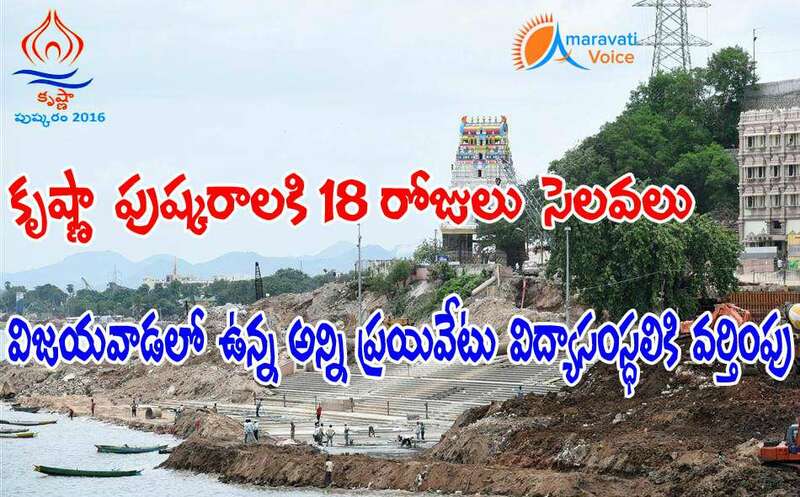 Krishna District Collector announced holidays for all education institutions in the district and have been directed to all the education institutions to announce holidays from August 8th to 25th in view of Krishna Pushkarams. There is no exception for Private Institutions also in this regard. As many school and college campuses will be used for the pushkar activities and also shelter to the pushkar duty employees, collector has passed this order.